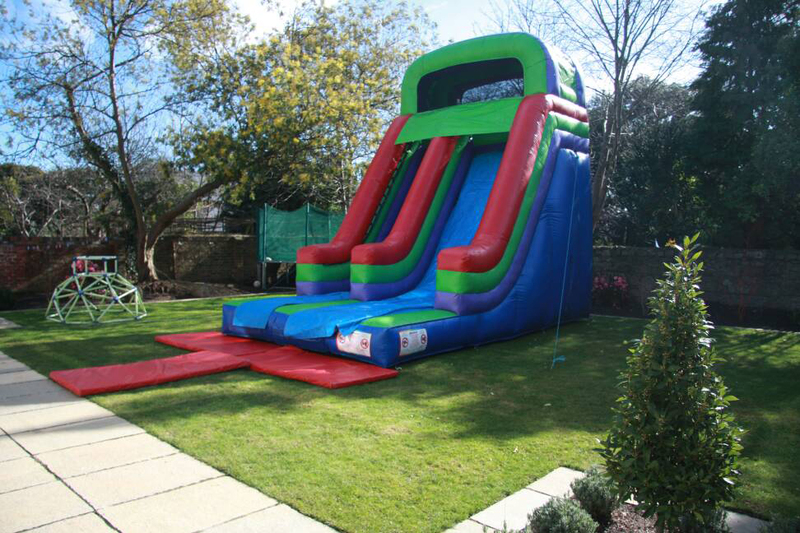 This obstacle course is 32ft long but would need 40ft of garden space to allow the kids to jump in and out on either side. 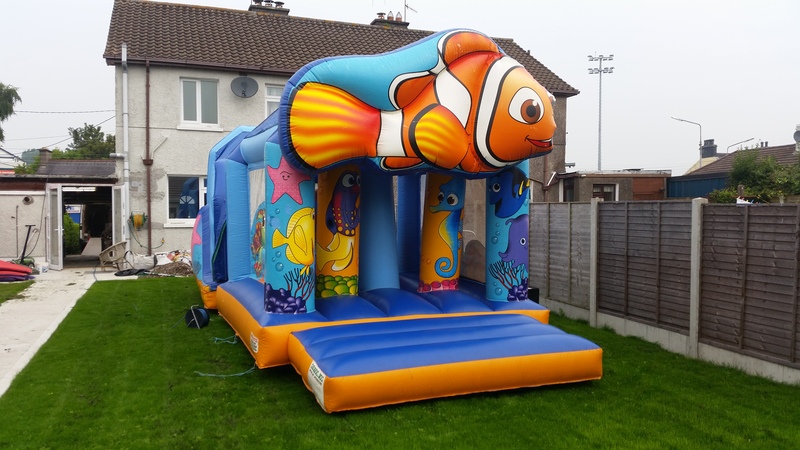 It have 2 sections. 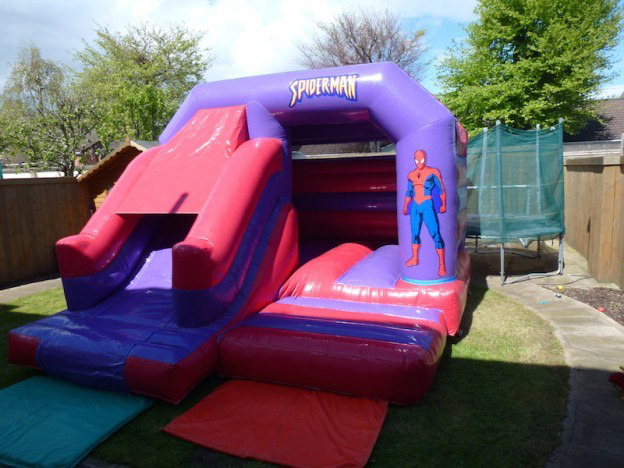 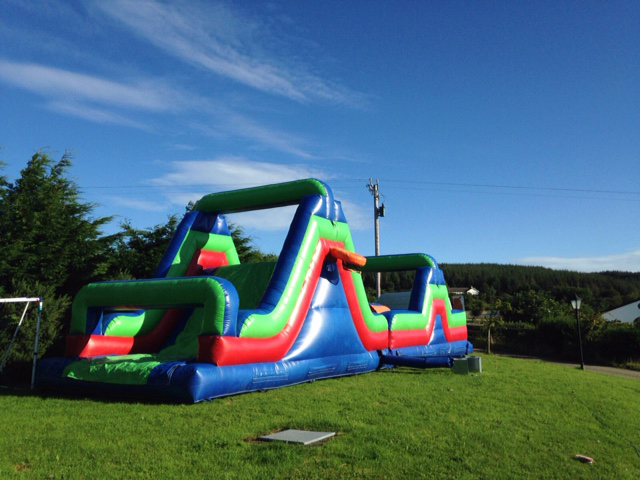 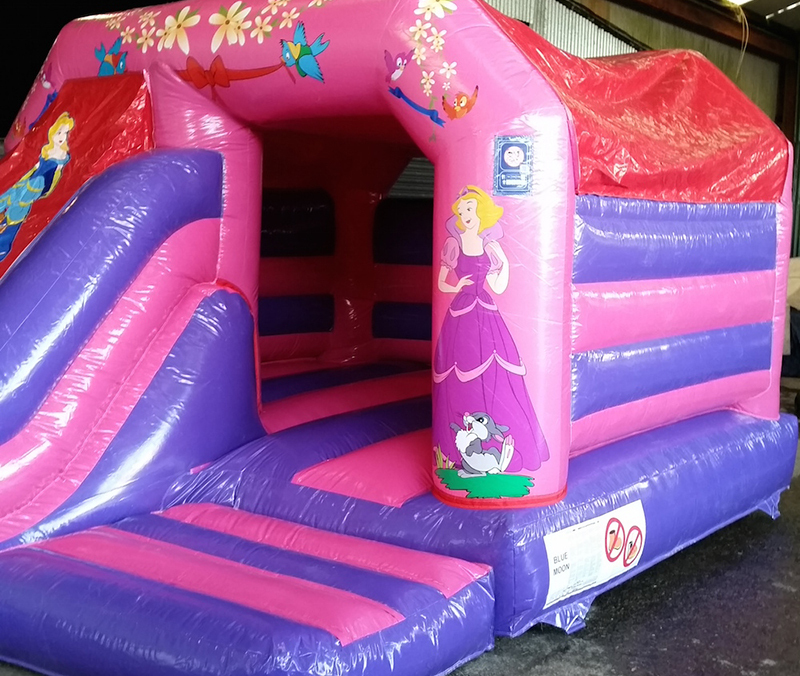 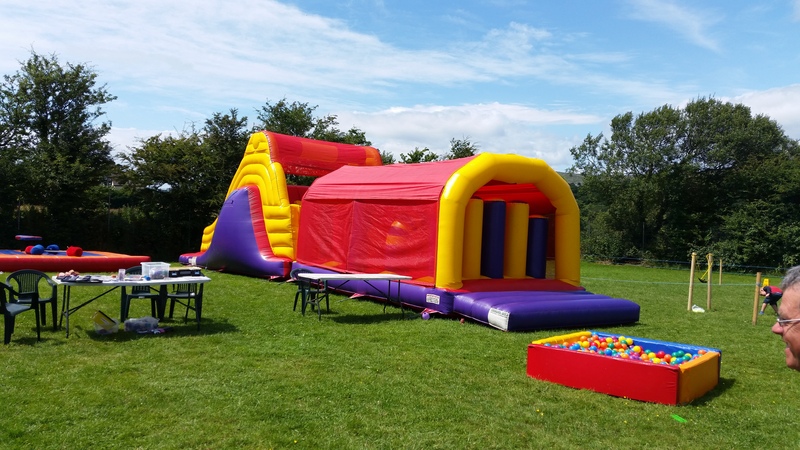 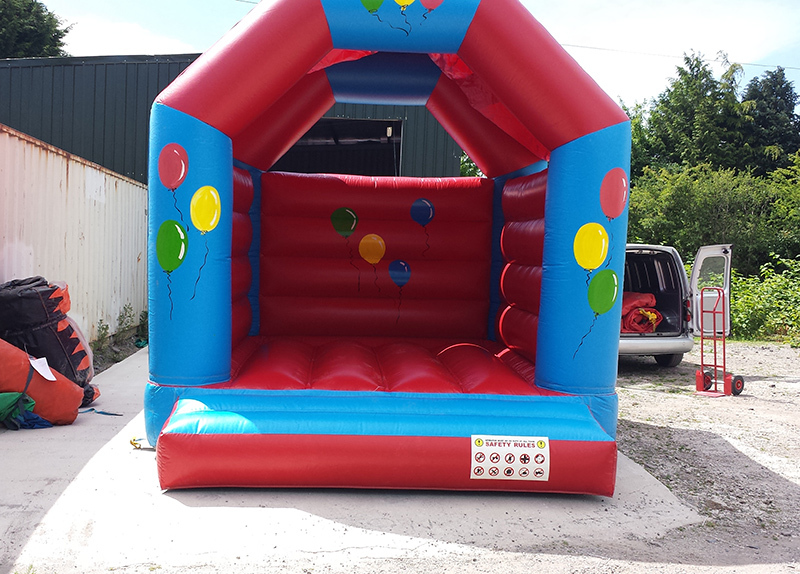 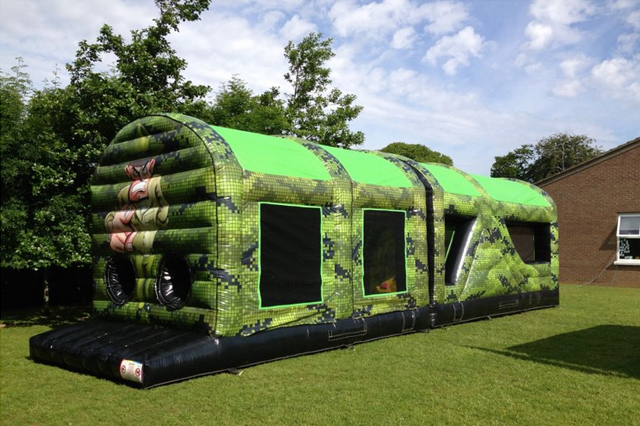 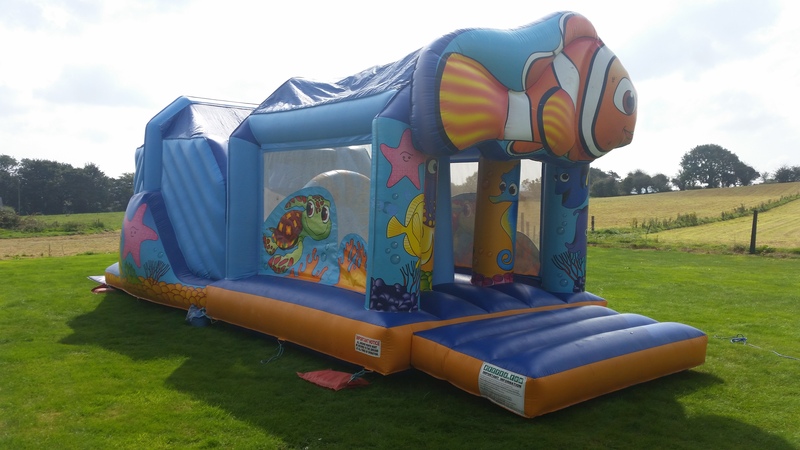 The front section has a bounce area with obstacles and the back section has a slide. 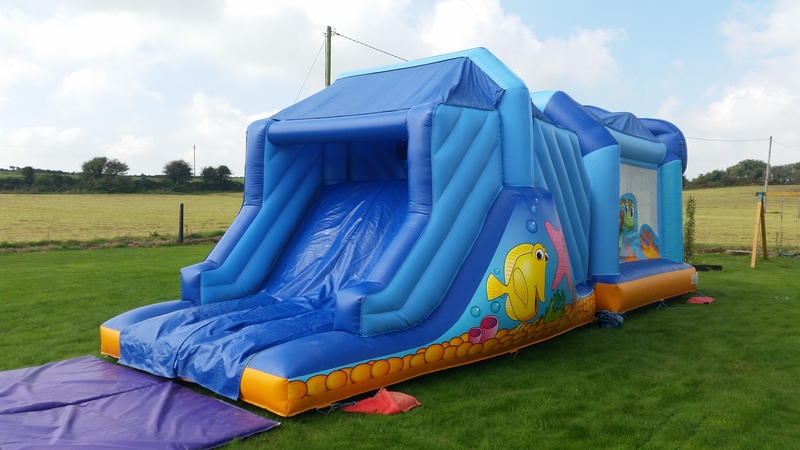 It also has a rain cover on the front and back.